Excessive daytime sleepiness which is falling asleep when you normally should not, such as while you are eating, talking, or driving. Frequent trips to the bathroom at night (nocturia). Older adults may normally have periods when they stop breathing during sleep, making it hard to know whether they have sleep apnea. Short lapses in breathing during sleep usually do not cause a large drop in the blood oxygen level. In children younger than 5, symptoms include snoring, mouth breathing, sweating, restlessness, and waking up a lot. In children 5 years and older, symptoms include snoring, bed wetting, doing poorly in school, and not growing as quickly as they should for their age. These children may also have behavior problems and a short attention span. 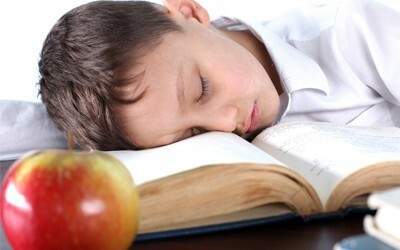 Children who have sleep apnea nearly always snore. But they may not appear to be excessively sleepy during the day (a key symptom in adults). The only symptom of sleep apnea in some children may be that they do not grow as quickly as they should for their age. Call your health care provider 416-876-2544 if you have excessive daytime sleepiness,or if you or your family notice obstructive sleep apnea symptoms.